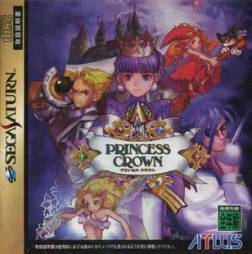 Princess Crown is an action role-playing game (RPG) developed and published by Atlus for the Sega Saturn video game console exclusively in Japan in 1997. 0.9.14 J Playable, minor glitches. 0.9.15 git (07/08/16) J Mac OSX 10.11 Software Playable, minor glitches, ie. flickering candles and fire. This page was last modified on 7 August 2016, at 14:58.